When Coenraad De Buys was around 7 years old, in September of 1769, he saw his father sitting on a chair "with his legs drawn up as stiff as planks". He was clutching his stomach and screaming. All that night he writhed in pain and died the next day. Coenraad walked to his half sister, Geertruy Minnie's house and told her about the death. Geertruy told Coenraad that she had seen another man die in same way - her father, Christina's first husband, Dirk Minnie. Dr Muller, a toxicology expert, and Cherylynn Wium, Medical Scientist, both from the Tygerberg Poison Information Centre feel that the only poison available in sufficient quantities which would cause the symptoms mentioned in the documents of the time would be Strychnine. Christina could possibly also have used arsenic although the symptoms described don't quite match those of arsenic poisoning. Strychnine is a poisonous, colorless, crystalline, alkaloid that is obtained from seeds of the nux vomica tree (S. nux-vomica) and related plants of the genus Strychnos. Strychnine is one of the most bitter substances known. 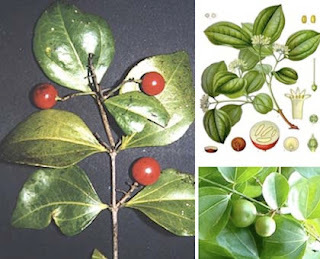 Strychnos, named by Linnaeus in 1753, is a genus of trees and climbing shrubs of the gentian order. The genus contains 196 various species and is distributed throughout the warm regions of Asia (58 species), America (64 species), and Africa (75 species). South Africa's first serial killer, Daisy Louisa C. De Melker (1 June 1886 - 30 December 1932), (nee Hancorn-Smith), who was a trained nurse, poisoned two husbands with Strychnine for their life insurance while living in Germiston in the central Transvaal (now Gauteng), and then poisoned her only son with arsenic for reasons which are still unclear. 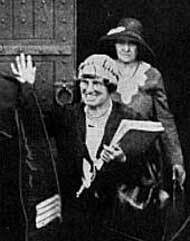 The state, however, could not prove that she had murdered her husbands, so Daisy de Melker was hanged for the murder of her son alone on Friday, December 30th, 1932, at Pretoria Central Prison. She is historically the second woman to have been hanged in South Africa. Interestingly enough Sarah Gertrude Millin wrote a book on Coenraad De Buys, King of the Bastards, in which she describes Coenraad's fathers poisoning and on book on Daisy De Melker, Three Men Died, in which she describes her murders.